Isn't this a magnificent piece of steak? Mind you, this scrumptious Porterhouse cut has been aged for about 25 days so its natural meaty flavour was even more intense. 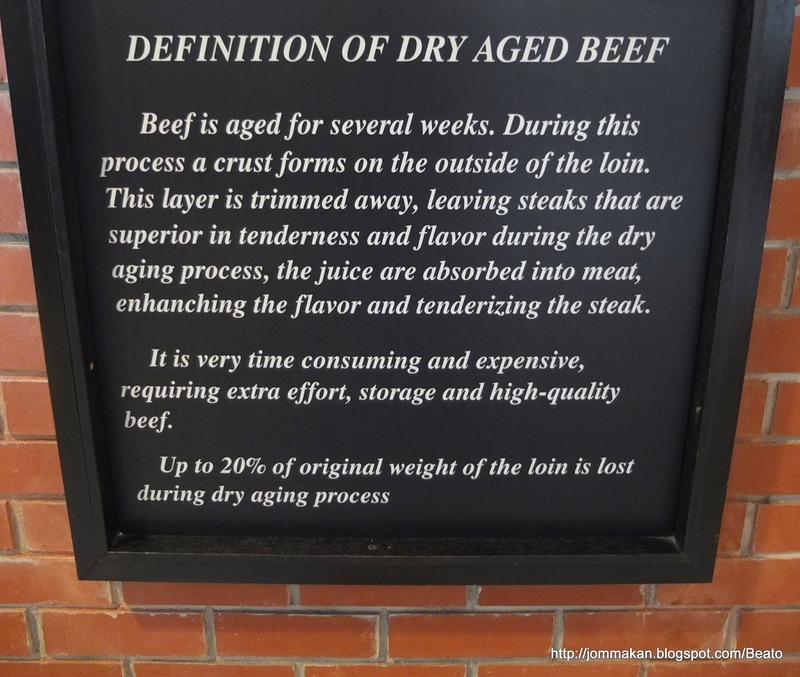 For the uninitiated, the fuss over aged steaks boils down to this sign displayed outside The Beato Steakhouse. 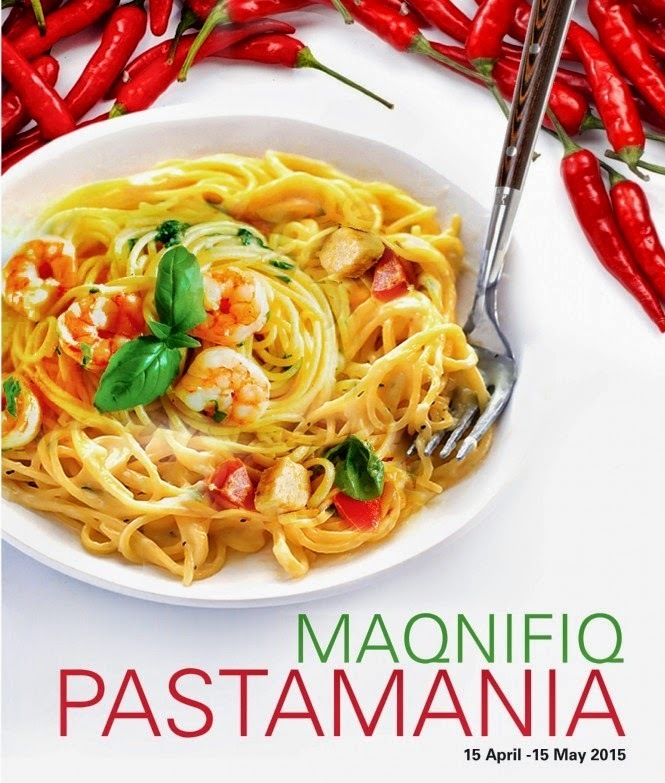 Danny Choi - the man behind Beato tells us that the word means 'blessed', 'blissful' or 'happy' in Italian. 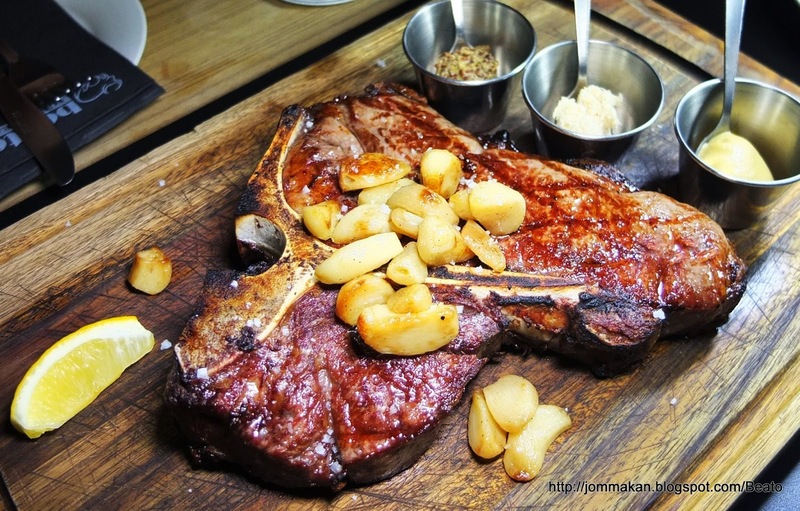 Ardent beef and steak lovers who step into Choi's steakhouse in Publika are blessed indeed for his restaurant is just the place to appreciate and savour glorious cuts of aged steaks. The specially built temperature-controlled dry-aging compartment with slabs of Himalayan salt are piled in one corner is given pride of place in front of Beato. 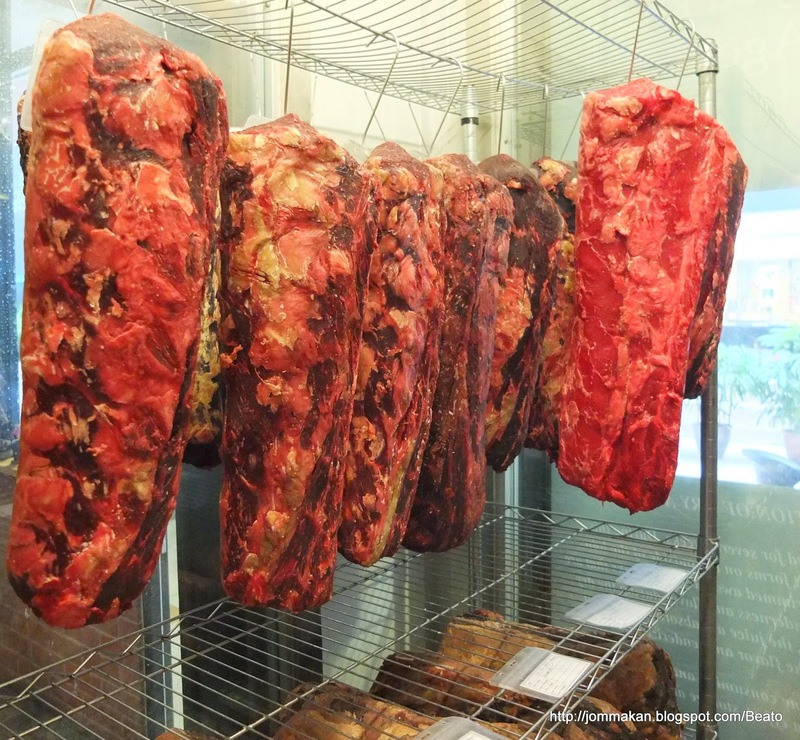 From the glass window, you can easily view hunks of beef that are undergoing the dry-aging process. Dry-aged beef tends to have greater concentration of the meaty flavour and better tenderness as the dry-aging process causes natural enzymes in the beef break down connective muscle tissues whilst intensifying its inherent flavour. Awash in warm, mellow lighting, Beato's mod industrial chic interior (think red bricks, raw concrete floor and wood trimmed bar) is fuss-free yet cosily welcoming. Although aged steaks rule here, the menu proffers some non-beef options too. 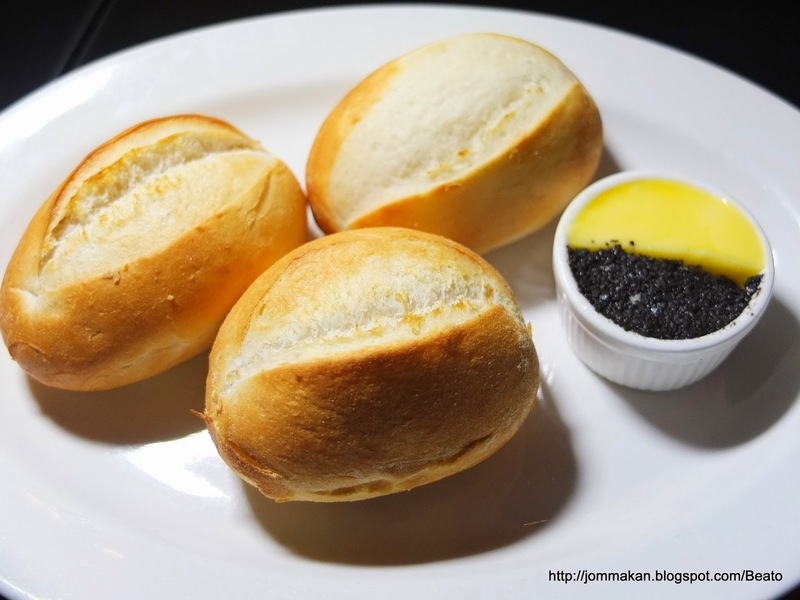 Warm up your appetite with warm bread rolls - deliciously comforting when spread with butter and the house olive tapenade. 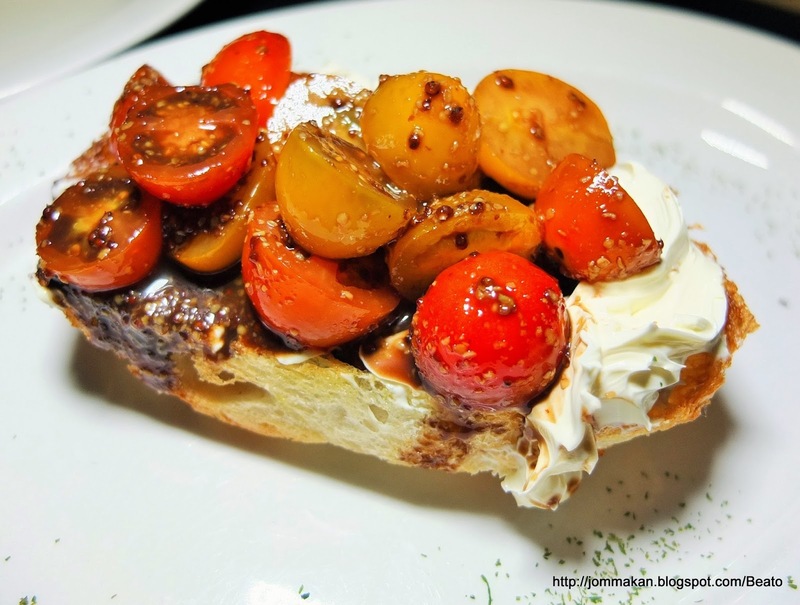 However, the limelight belongs to Beato's sublime Bruschetta (RM15) - a defyingly simple and thickly cut slice of crusty white country bread piled high with juicy cherry tomatoes and cream cheese. Dribbled with balsamic vinegar and honey, the burst of bright colours and soul-lifting accents literally knocked our socks off. 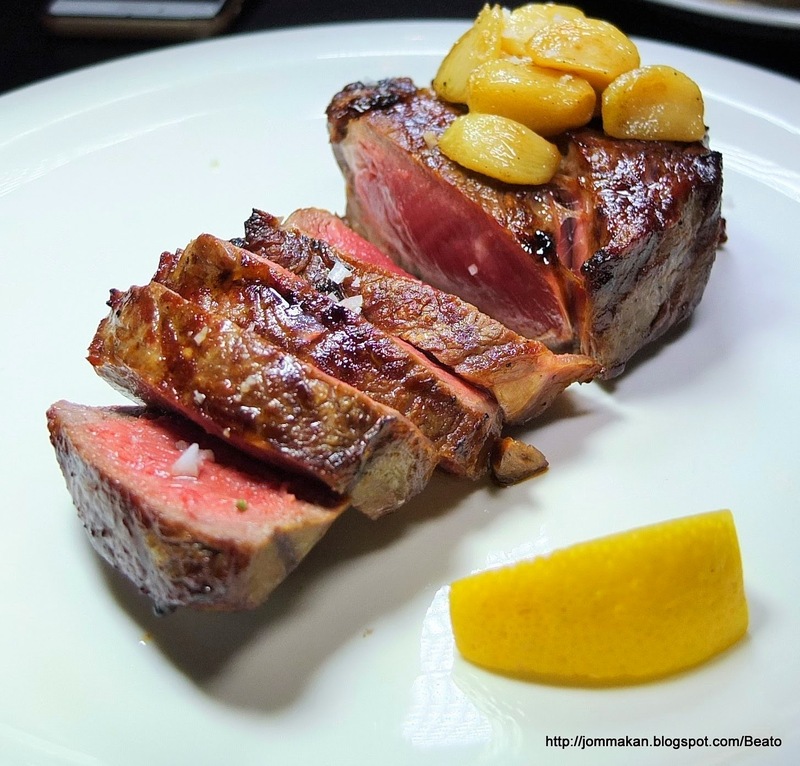 Aged for 25 days, our medium rare serving of 775g Porterhouse (RM38/100g) was adorned with grilled caramelised garlic and a lemon wedge. 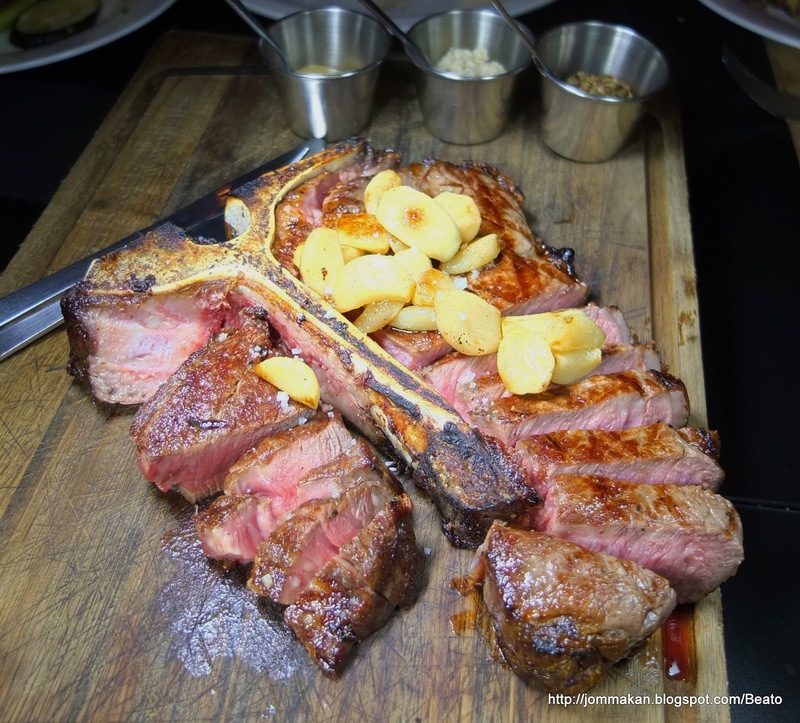 While the seared outer crust yielded a well-rounded gaminess with hints of flinty minerals to it, we found different marbling of the strip steak and fillet flanking each side of the T-bone allowed us to relish the variation of each cut's chewy succulence. Adding dollops of Dijon and wholegrain mustard or horseradish simply enlivened the taste and flavour dimensions. 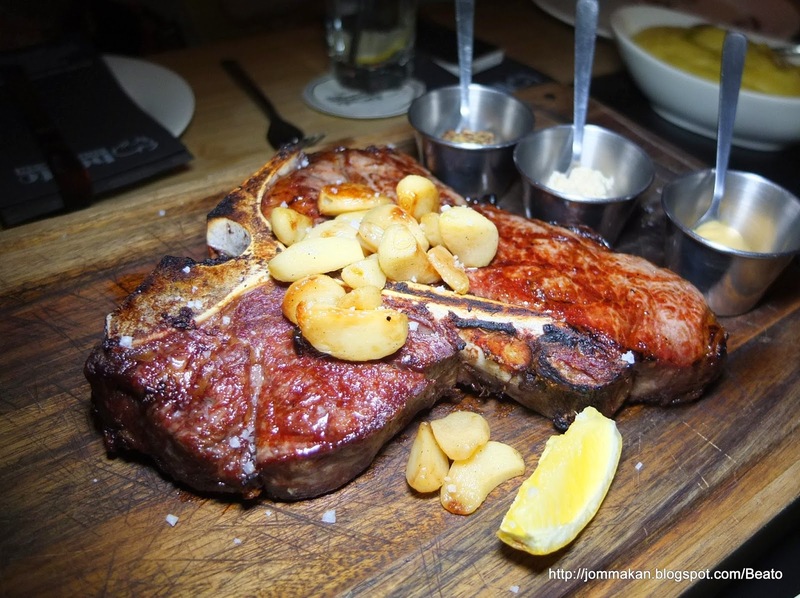 The 344g Ribeye (RM39/100g) boasted more noticeably buttery-tender texture with mellower beefy nuance. 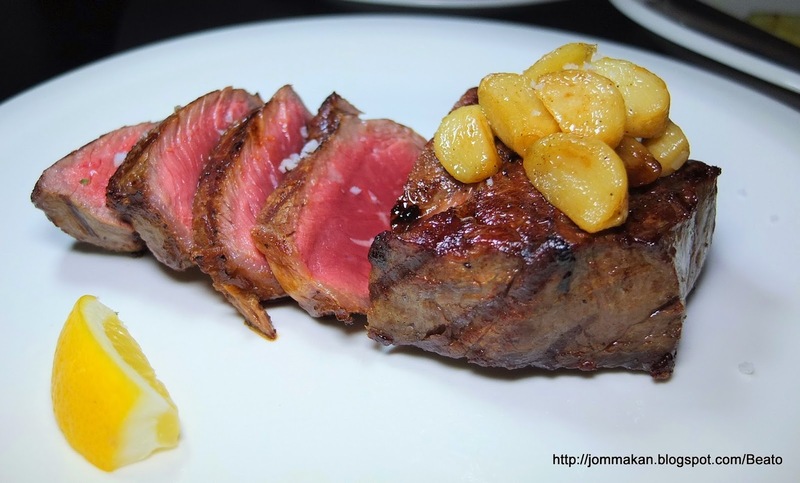 Best enjoyed medium rare, the steak was speckled with coarse sea salt to enhance its deep, full-bodied flavour. 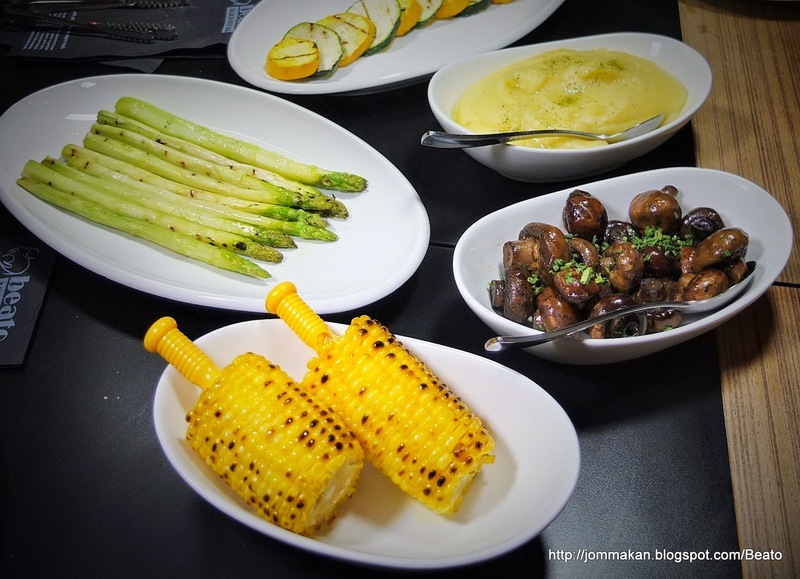 Balance your meaty quota with assorted side dishes of grilled asparagus (RM14), corn (RM8), zucchini (RM9), sauteed mushroom (RM15), sweet potato fries (RM14) or mashed potato (RM14). 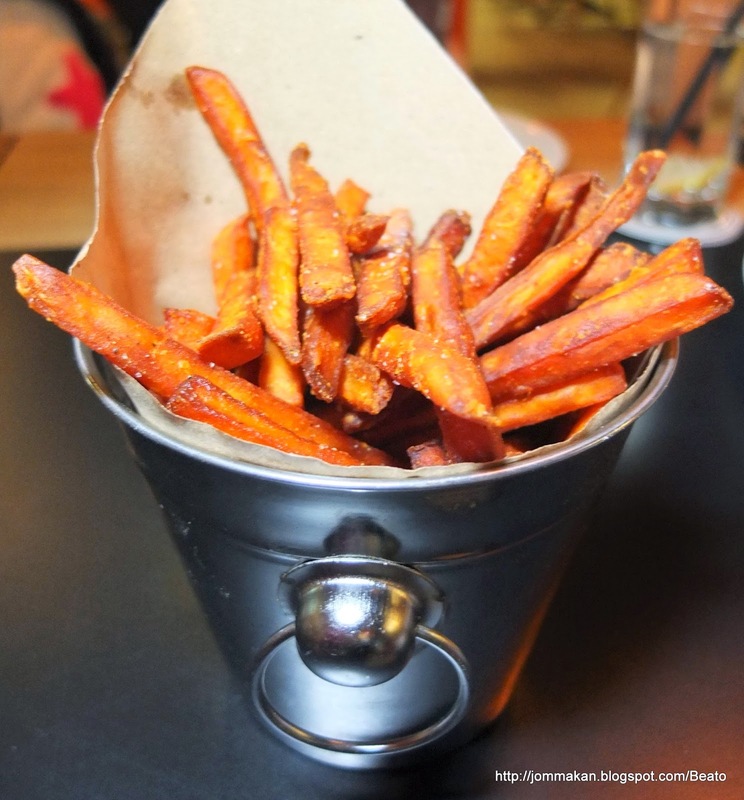 Our faves were the mushrooms, sweet potato fries and creamy potato mash; all left indelible impressions on our palate as their textures and delicate taste profiles acted as counterpoints to the stellar steaks. 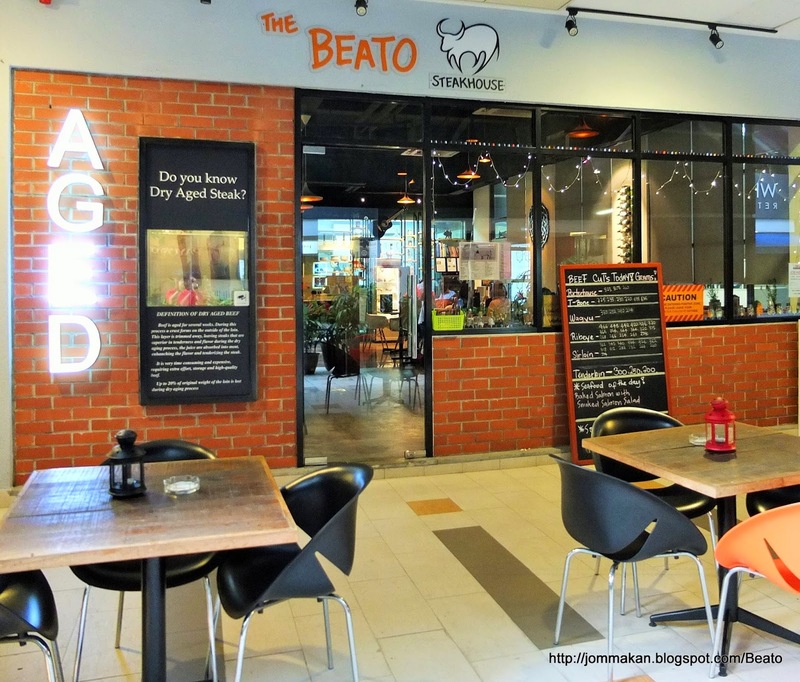 Those who eschew beef can still eat well at Beato. 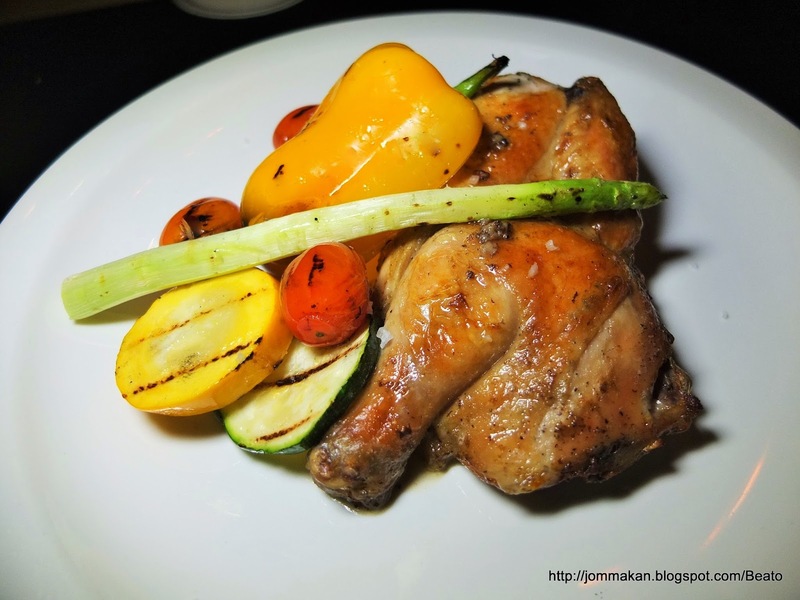 We'd recommend the notable Half A Roast Chicken (RM39) with grilled mixed vegetables. The moist poultry came fully suffused with the sweet pungency of its garlic marinade. 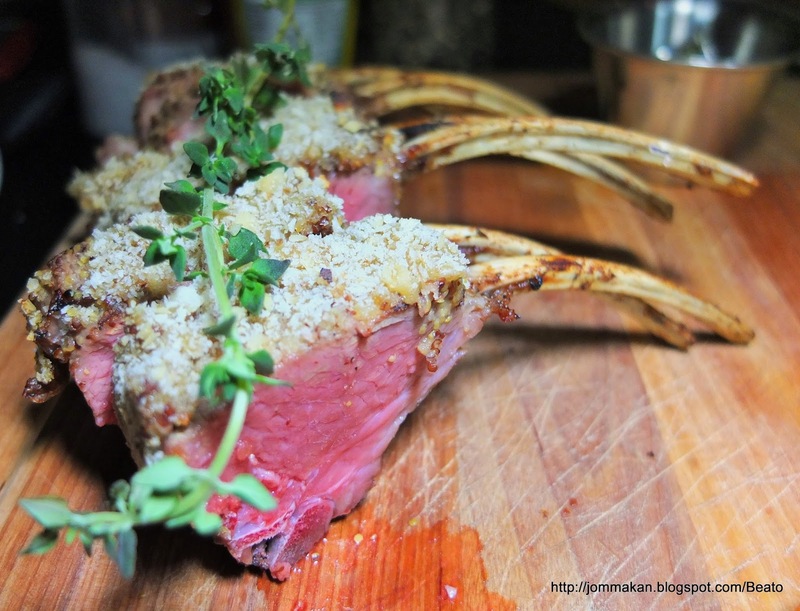 Another viable option is Lamb Rack (RM59); cooked to blush pink at the core, the whole rack is lightly encrusted with crushed walnuts, breadcrumbs, honey and wholegrain mustard. 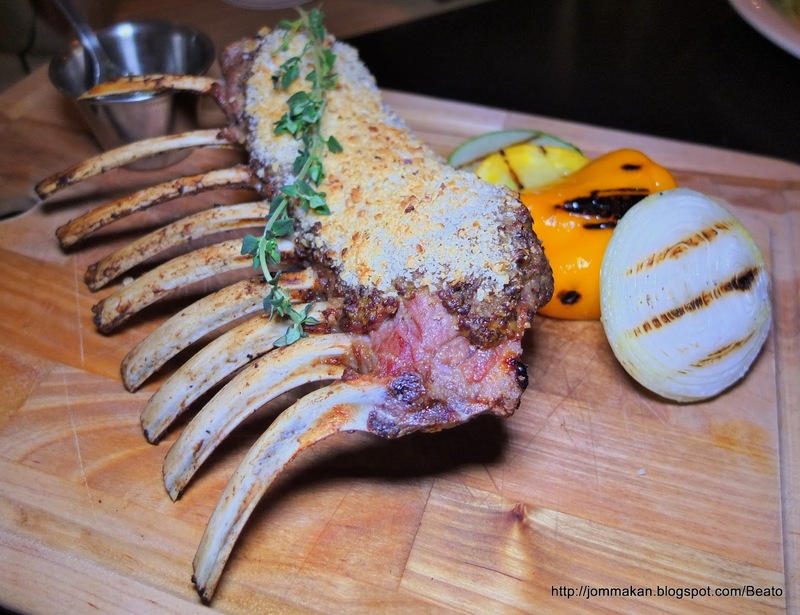 Naturally, we picked the bones clean on this speciality. 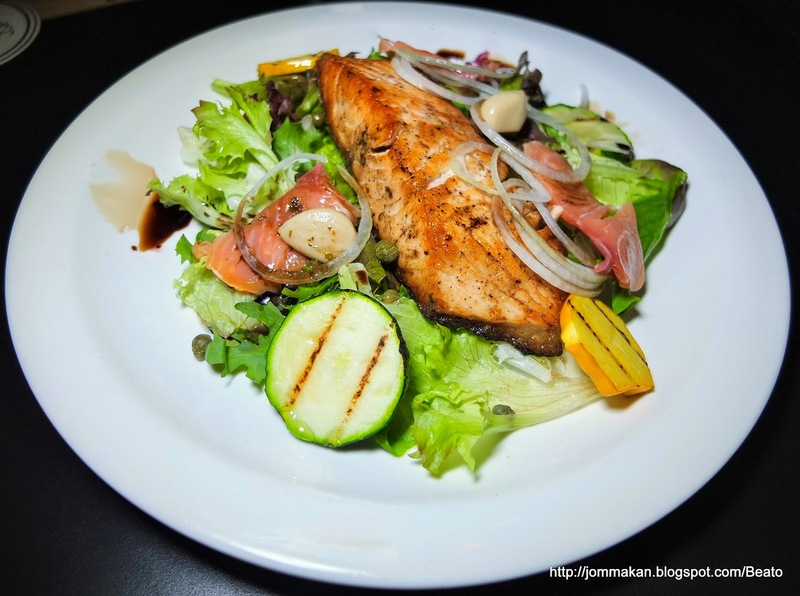 In case you have companions who prefer fish, try Baked Salmon with Smoked Salmon Salad. 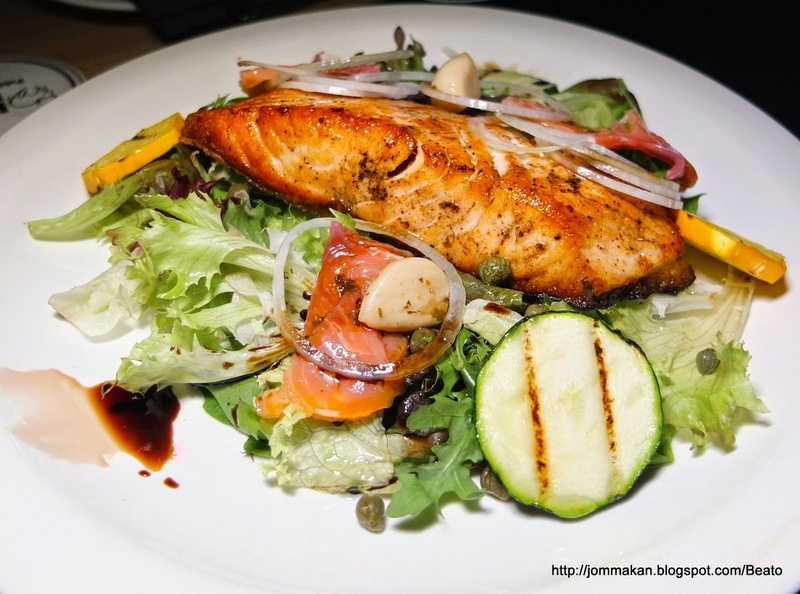 The smoked salmon salad tossed with balsamic vinaigrette served as the base for the substantial salmon fillet which slightly flaky on the outside. The centre remained spot-on pink. 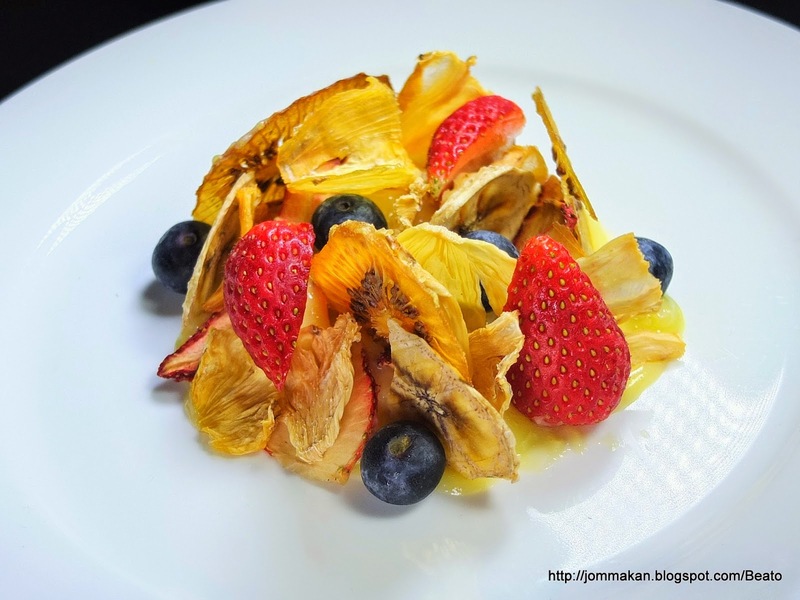 Sweet options are kept simple with Dried Fruits (RM19) emerging as the conversation-stopper. The basic ensemble of dehydrated slices of kiwifruit, pineapple and banana complemented by fresh blueberries, strawberries and lemon curd surprised us with bursts of concentrated fruity sweetness. 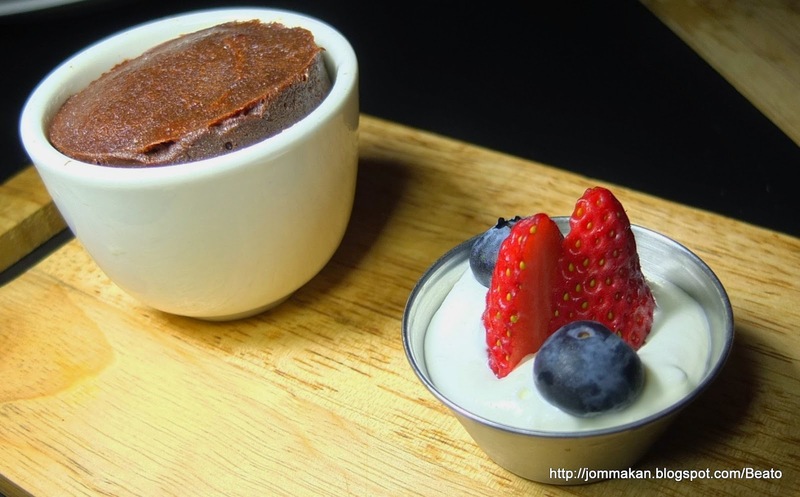 Chocolate fanatics would adore the decadently luscious Chocolate Lava (RM11) and Chocolate Mousse (RM18). 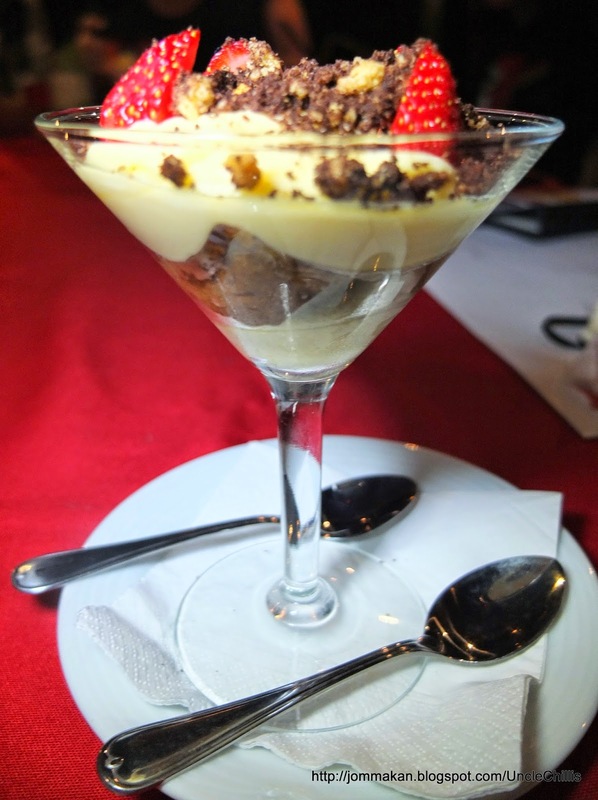 Dense and slightly bitter on the palate, the mousse should melt the hearts and tastebuds of die-hard chocoholics. 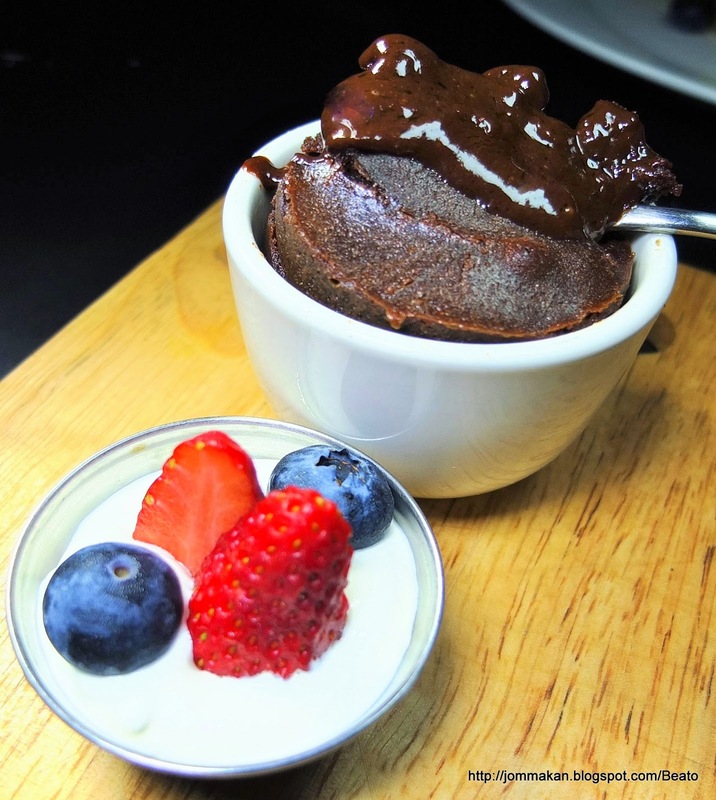 Don't let the little portion of chocolate lava mislead you. 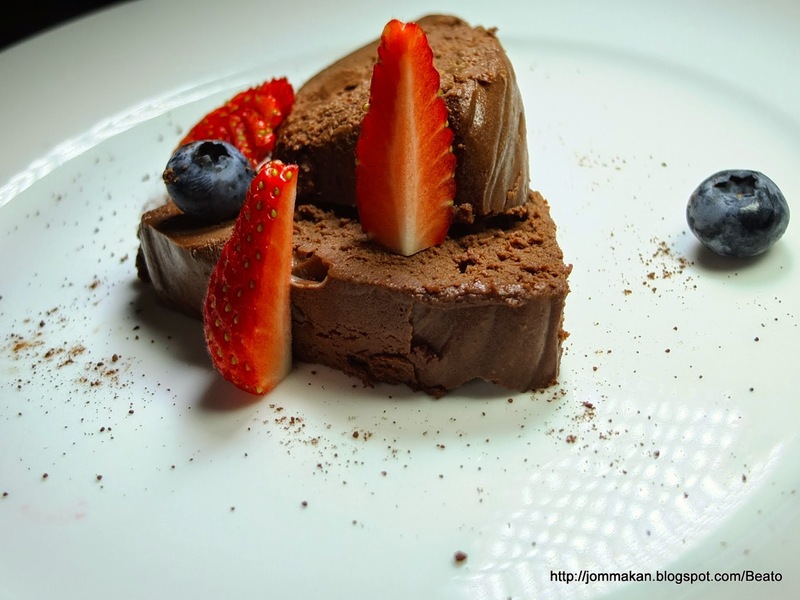 Served with fresh berries and cream on the side, the molten choc centre was most befitting for leaving you in a blissful state of mind. Age-old limestone hills, charming pre-war shophouses and laidback, friendly people...Ipoh easily charms visitors' socks off. 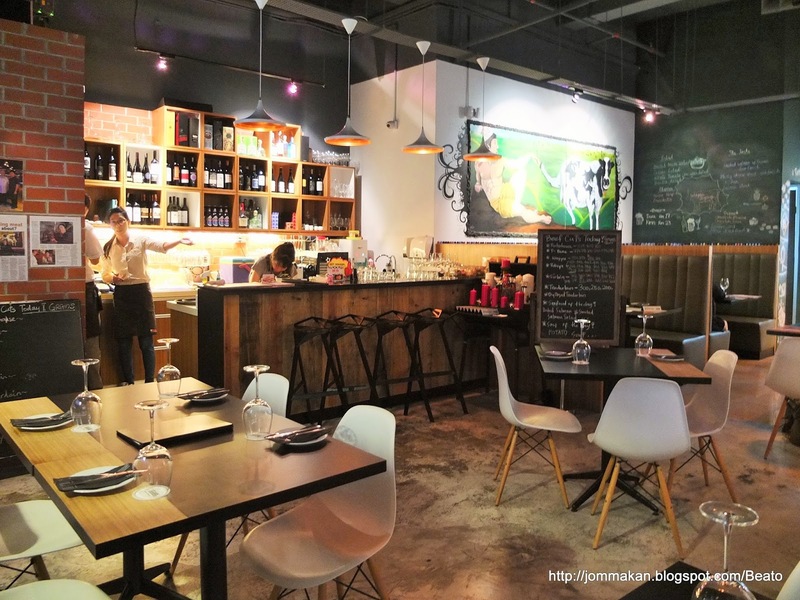 It's less frenetic to Penang as far as domestic tourism goes (granted, some weekends can be swamped by out-of-townies) but its newer, artsy cafe scene and makan haunts are increasingly catching the imagination of local foodies. Billing itself as an urban retreat, the months-old WEIL Hotel has brought understated contemporary luxury to this quaint city. Towering tall and proud next to the sprawling Ipoh Parade Shopping Mall, this 313-room property welcomes visitors with the endearing warmth of Ipoh folks and all the modern creature comforts you'd expect of a well-run hotel. 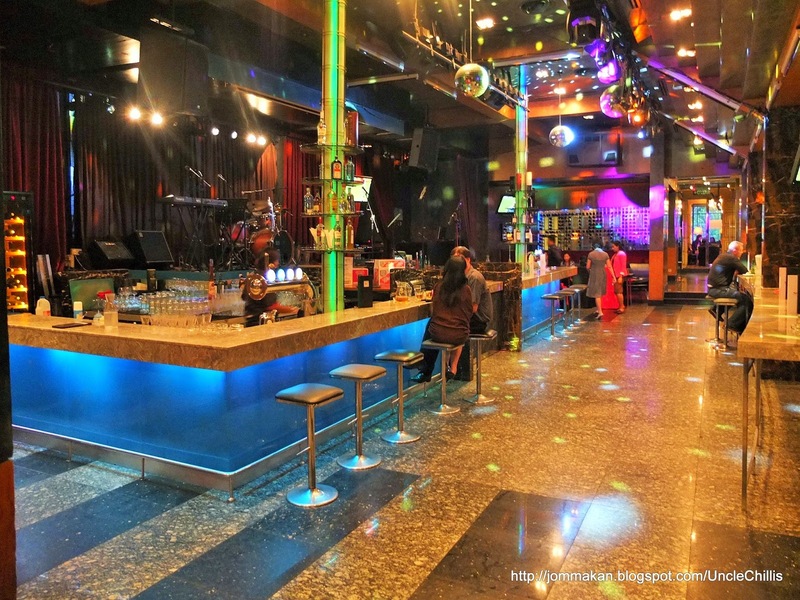 The hotel's unusual name - WEIL Hotel is a reversal of the owner's surname Liew, whose family owns the famous Pagoda brand groundnuts. Our recent staycation was an eye-opening experience. We love WEIL Hotel's grey and red brick facade at first sight. Check-in was smoothly efficient - the reception and concierge teams personable and made us felt truly welcomed. Warm toasty-hued marble augmented with wood trims and sleek tactile touches evoke a subtly plush yet homely feel in the main lobby area. Muted green, blue and grey upholstered armchairs, ottomans and two-seater lounge chairs coupled with low coffee tables and chic standing lamps provide eye-pleasing aesthetics and practical comfort in designated corners. Our assigned room was spacious and of course, superbly comfortable. The ID is pared-down with simple, clean lines and prevalent neutral tones of wood, sand, white and grey. Needless to say I slept like a baby that night - the pristine white linen-covered Serta Royal Elite bed and fluffy micro-fibre pillows offered just the right amount of support so I woke up free from aches and pains the next day. Wi-Fi access is important for both business and leisure travellers now so we were pleased to find in-room connectivity is part and parcel of WEIL Hotel. Our stay was sweetened by thoughtful little courtesies such as the freebies accorded in the mini bar. Most hotels would provide two bottles of water and coffee/tea-making facilities on the house but WEIL went further with complimentary canned soft drinks and packets of Pagoda mixed nuts. I took an instant liking to the spacious and well-lit bathroom. Fluffy towels and fragrant toiletries complete the deluxe finishing of the dark marble-topped vanity area whilst the en-suite glazed white tile and glasswalk-in rain shower cubicle even has a standalone bath tub in it. My other half gave thumbs up to the extra long workspace area that let us placed our laptops and office-related paraphernalia. Our only quibble was the chair which isn't conducive for moving around on a carpeted surface nor was it ergonomically designed for much-needed back support. For great panoramic views of Ipoh and its surrounds, head up to the Rooftop Infinity Pool. The removable canopied patio is furnished with weather-proof outdoor mock cane-weave chaise lounges and pool deck chairs for guests' R&R after their pool-dipping session. Flanked on all sides by banks of potted greenery, the azure blue pool looks out to the city of Ipoh and the majestic hills beyond it. We certainly won't mind returning to WEIL Hotel the next time we hit Ipoh, be it for business or pleasure. Our pleasant encounters and interactions with the hotel team have been a re-WEIL-ling and rewarding experience we'd remember fondly for months to come. Currently, WEIL Hotel has a Free & Easy Package available. For reservations and more information, call tel: +6 05 - 2082 228. WEIL HOTEL IPOH is located at 292, Jalan Sultan Idris Shah, Ipoh, Perak, Malaysia. 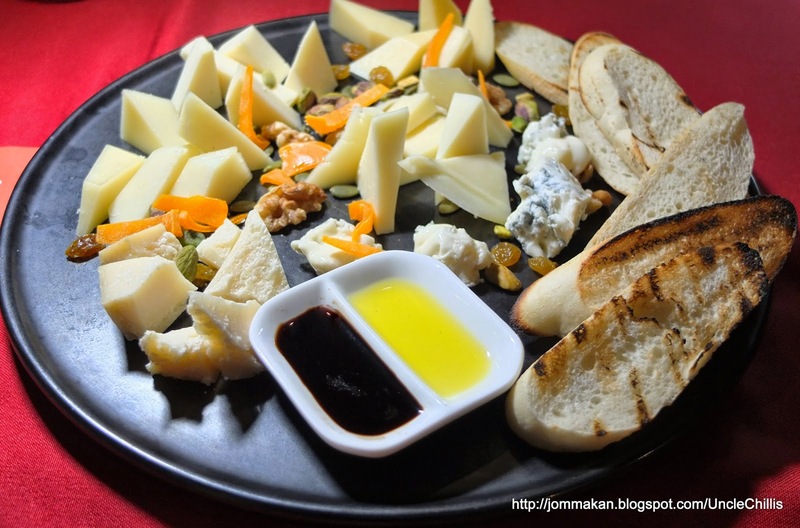 Chef Massimo Zampar from the Doubletree by Hilton, Johor Bahru takes local pasta lovers on a virtual tour of his native Italy through a selection of cheese-laden appetisers and housemade pasta for this special promo at Uncle Chilli's Bar & Restaurant. Zampar who hails from Palmanova in north–east Italy began his hotel career in Lignano Sabbiadoro and Alleluya, Baglioni Hotels in Tuscany upon graduation from the Chef’s School Friuli Venezia Giulia in Grado. He subsequently worked at the Carlton Tower in London and Amapola Restaurant, Hyatt Regency La Manga in southern Spain. 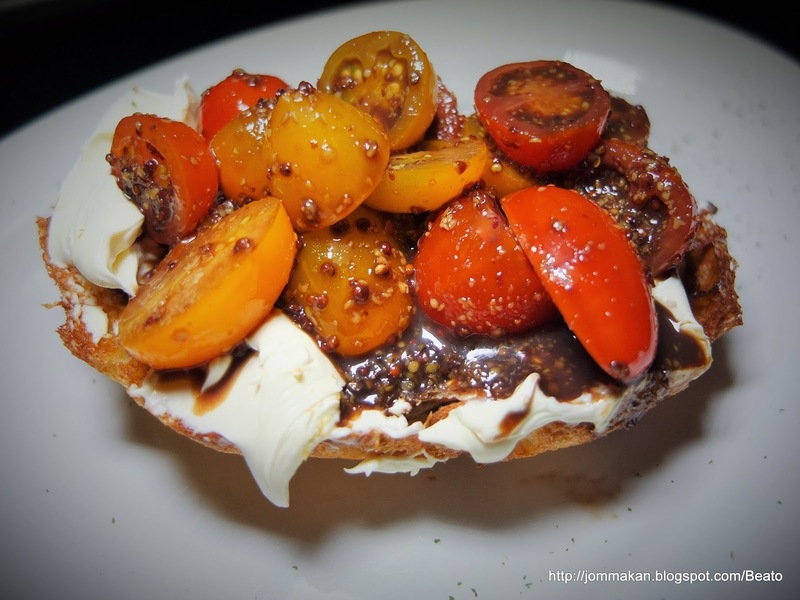 Todate, the chef has chalked up 16 years in Europe and Asia Pacific. 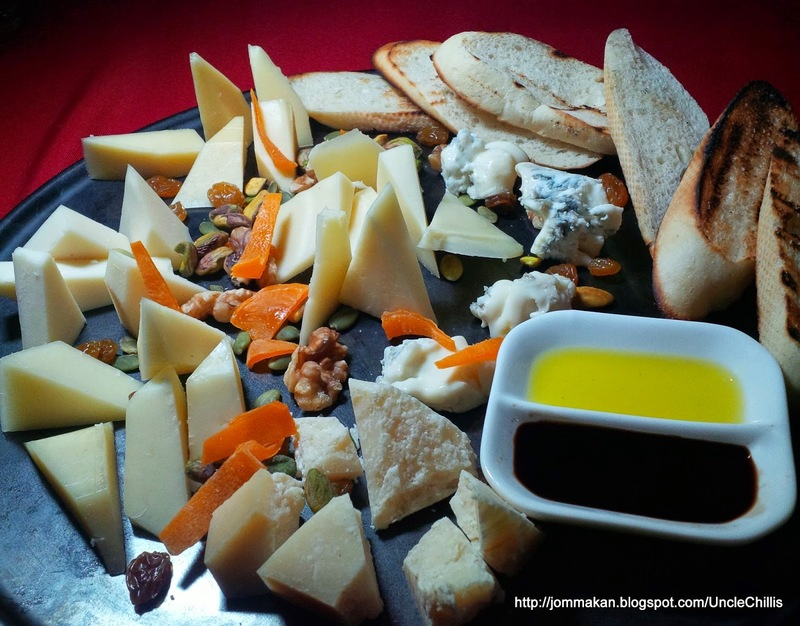 If you have a cheese fetish like me, you'd swoon over the Cheese Platter (RM58++) featuring Italian cheeses like gorgonzola, parmesan, pecorino, montasio, provolone and asiago with aged balsamic, dried fruit, nuts and toasted country bread. We made short work of the varied offerings that range from soft to hard varieties and mild to assertively strong. 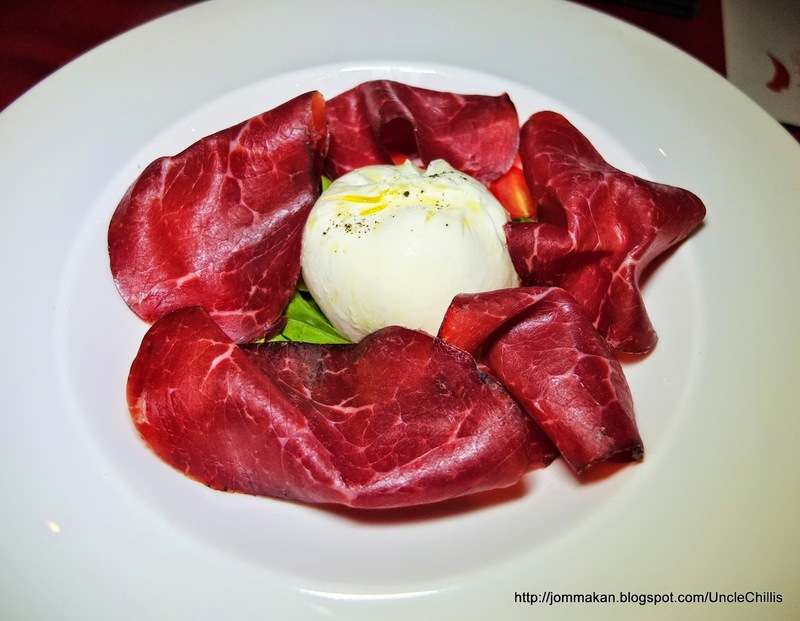 Italian Burrata with Rocket, Cherry Tomatoes & Beef Bresaola (RM42++) is another delicacy rarely found in most Italian restaurants in Klang Valley so we were in seventh heaven for the chance to savour this fresh ball-shaped cheese. Split open its milky white, slightly bouncy exterior and you'd be rewarded with a rich core filled with soft curds soaked in cream within. An utterly divine match when complemented by tissue-thin slices of air-dried, salted beef, peppery rocket and fresh cherry tomatoes. 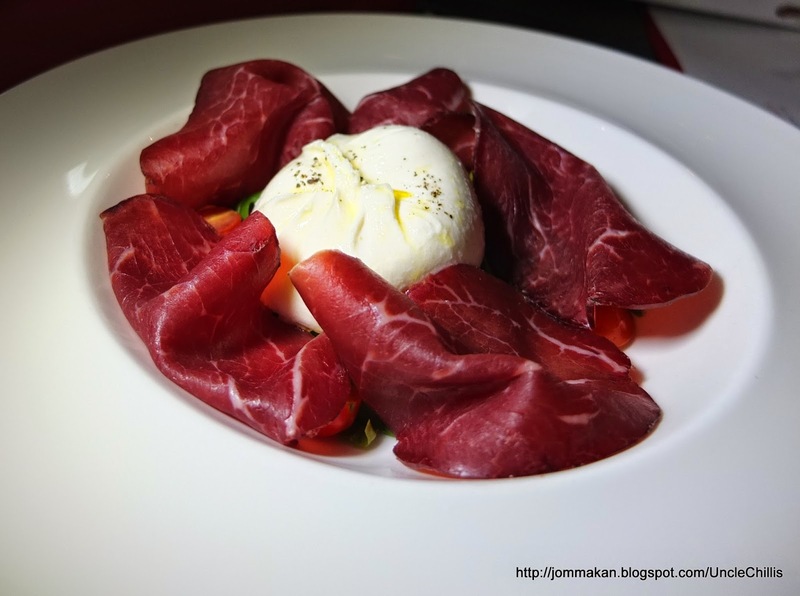 Its deliciousness was rivalled by the Caprese Buffalo Mozzarella with Fresh Tomato & Rocket Salad with Extra Virgin Olive Oil (RM32++). You can easily slice through the fresh, soft cheese's thin, semi-elastic rind and relish its moist, springy texture and slightly sour taste. 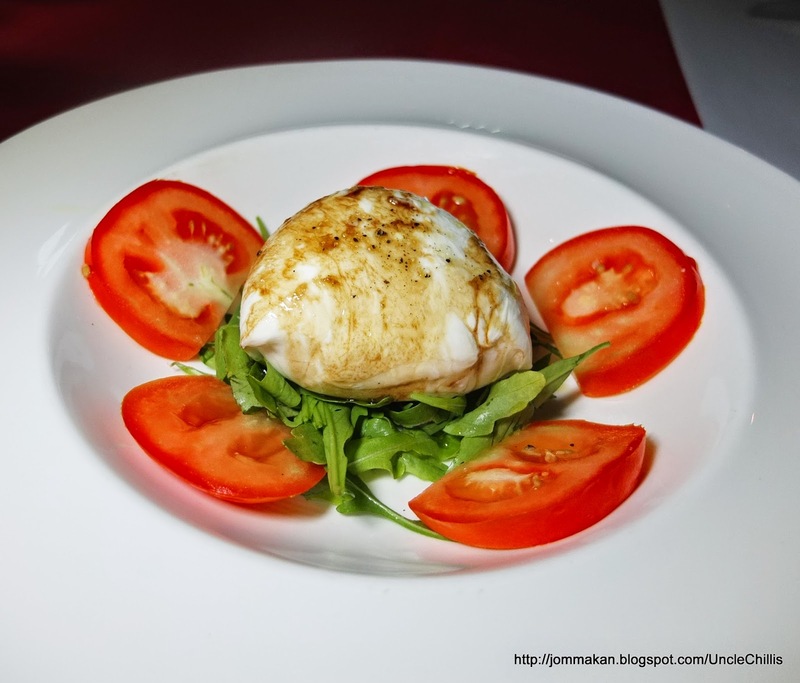 Thickly sliced tomato and fresh rocket are most common pairing for it. Italy is also known for its cured meats so it was only befitting for us to sample a plate of Bresaola and Salami with Shave Parmesan (RM48++). 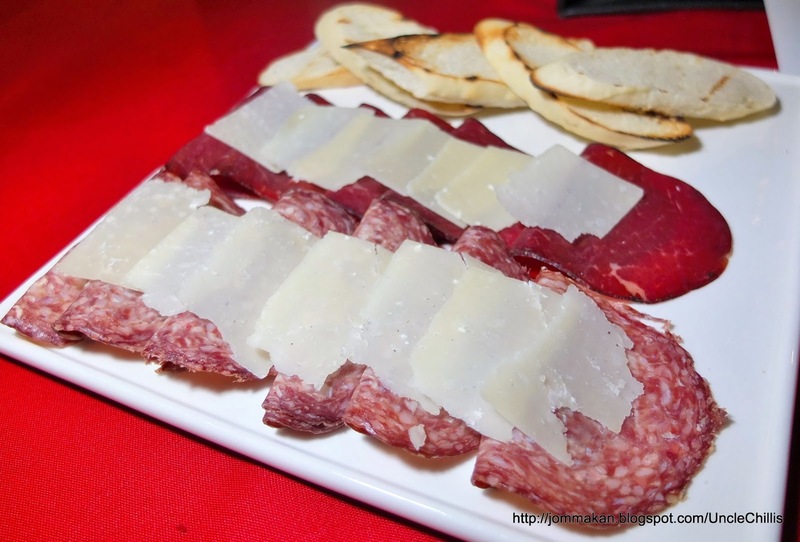 Served with slices of toasted country bread, the briny, smoky meats were excellent to whet the appetite. 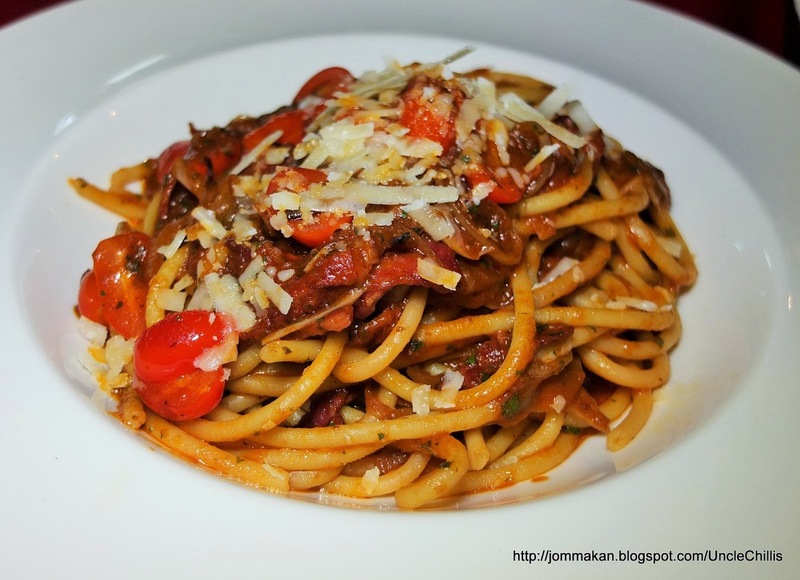 The most outstanding pasta of the evening was Bucatini Amatriciana (RM42++), thick holey spaghetti-like pasta drenched in hearty, chunky and mildly zingy tomato sauce with beef bacon, onion, balsamic and shaved pecorino. Again this dish is hardly ever found in run-of-the-mill Italian eateries here so this is a noteworthy choice to consider. 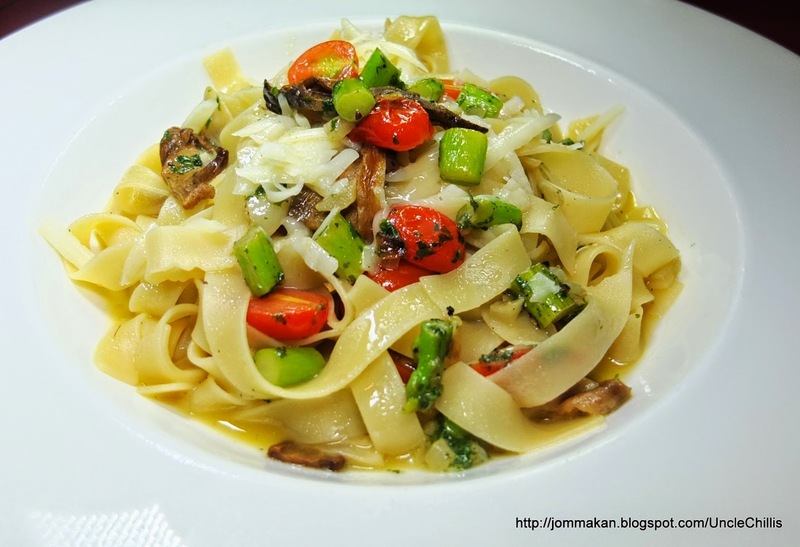 Coming in a close second is Tagliatelle (RM47++) - a signature speciality of Chef Zampar. The pared-down combination of asparagus, porcini mushroom, cherry tomatoes and provolone with the flat pasta ribbons went down a storm with us; the dish's delicate hodge-podge of woodsy, flinty, tangy and savoury nuances held us spellbound. 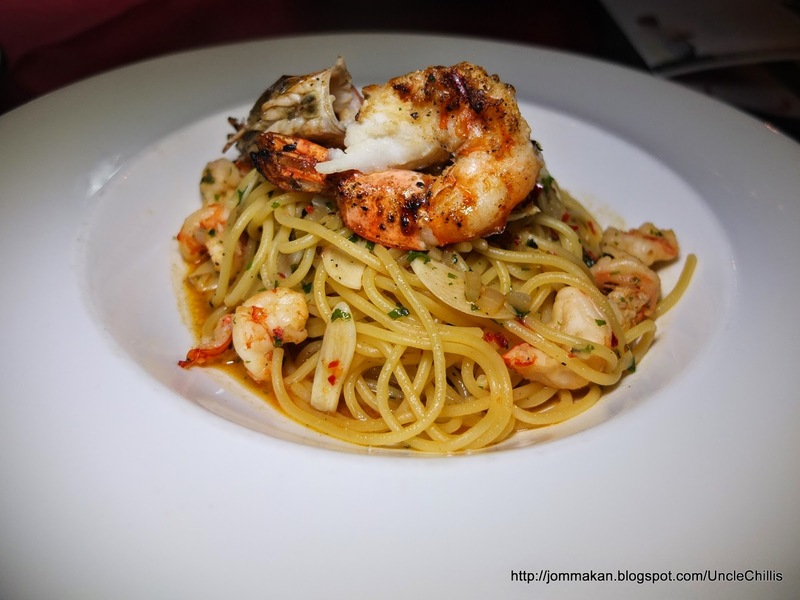 Similarly, the Spaghetti Aglio Olio (RM48++) is another surefire crowd-pleaser. Tossed in olive oil, sliced garlic and chilli flakes, and primed up with grilled tiger prawns, it easily got two thumbs up from us. Fancy something more luxe and feisty-tasting? 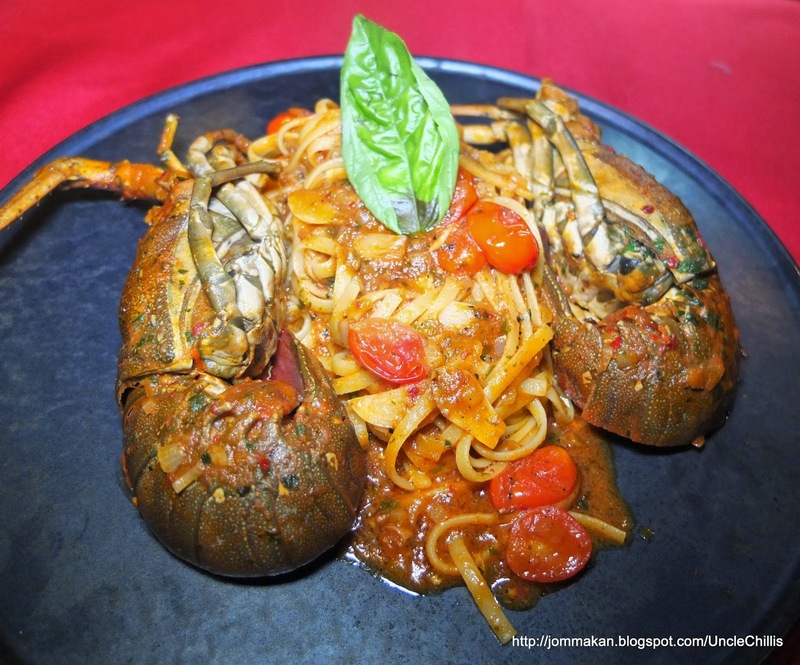 Baby lobster and a zingy spicy tomato-based sauce should make the Linguine Aragosta (RM22 per 100gm) a blazing success. Enlivened with garlic, cherry tomatoes and parsley, this pasta dish packed a real punch. 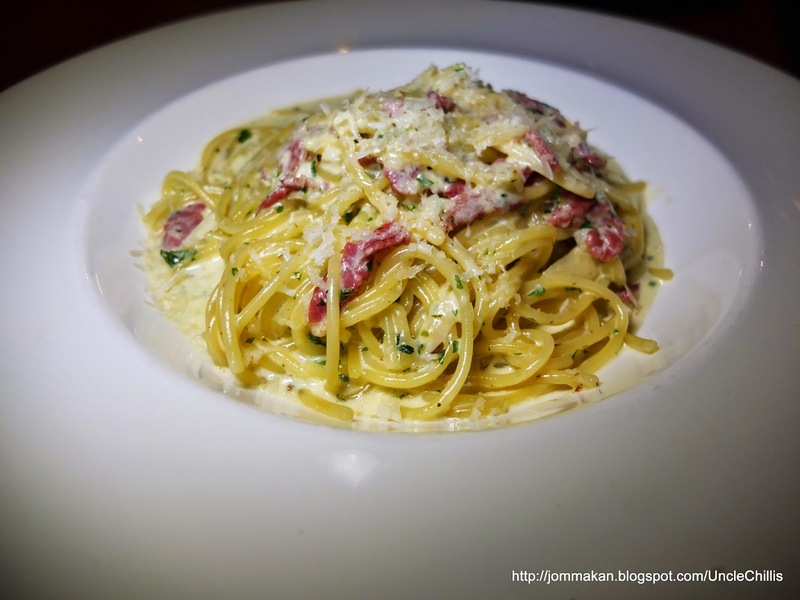 Personally, I've never been enamoured with Spaghetti Carbonara (RM42++) but Chef Zampar's version was surprisingly agreeable. Lightly tossed in cream sauce with chopped streaky beef, egg yolk and parmesan, the al dente pasta strands were richly indulgent on the palate stopping short of being cloying. 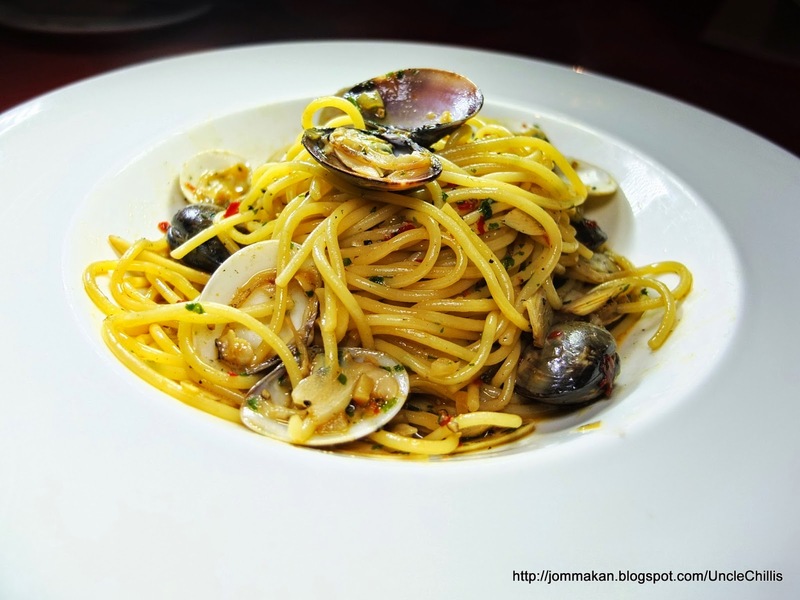 It was such a pity the clams were a tad on the scrawny side in the Spaghetti Vongole (RM42++). Otherwise the chilli-flecked pasta in garlic and white wine sauce would have made a better impression. 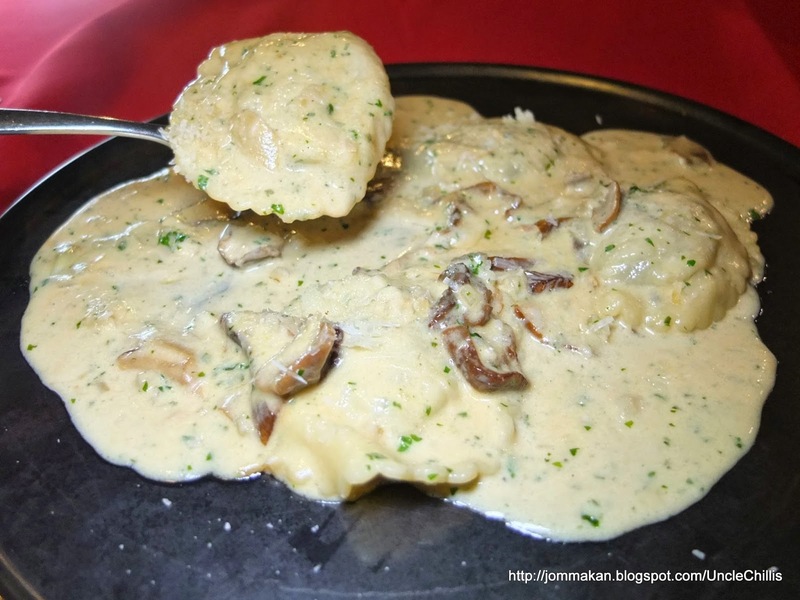 Ricotta, gorgonzola, montasio, parmesan and pecorino made the Ravioli Stuffed with Eggplant & Ricotta (RM57++) an cheesy overload. The dainty pasta parcels were generously smothered in an ultra-creamy, four cheese sauce making the serving an option strictly for ardent fans of cheese...otherwise you'd be reeling from those pungent dairy products. 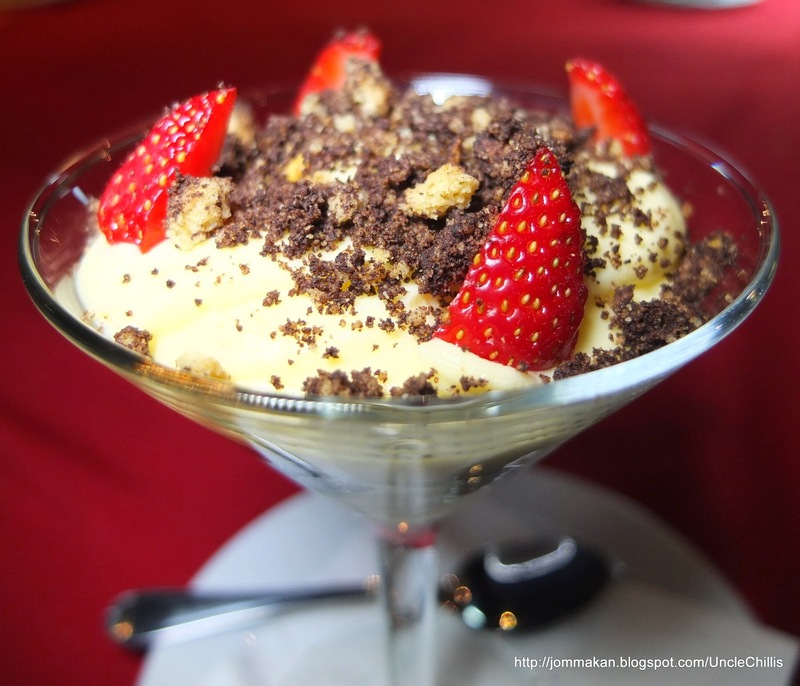 Tiramisu (RM22++) was the sole dessert available - a lamentably sedate version whipped up from mascarpone cheese, coffee-soaked ladies fingers and strawberries. There's nothing wrong with it but give me the boozy 'pick me upper' anyday. Lobby Level, Hilton Petaling Jaya, No. 2, Jalan Barat, Petaling Jaya, Selangor.